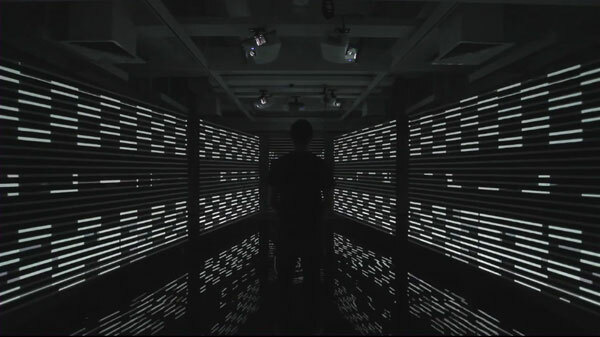 A site-specific installation at the Museum of the Moving Image in conjunction with the exhibition Spectacle: The Music Video. Inspired by the wall drawings of Sol LeWitt, the installation aims to bring minimalist art to life as an immersive music video environment. Visitors are able to select any song from an iPad running Spotify and watch a visualization of the music projected onto the surrounding walls. Through motion-capture technology, visitors can interact with and manipulate the animation through movement.